We reviewed the 2005 World Sportscar Masters Series here, in early January. Gregor Fisken – that all-round good bloke, prototype driver (starting his 2006 season at Sebring this week) and London-based dealer in fine historic automobiles, has joined forces with The Masters Series (actually a collection of four historic motor racing categories) as a primary sponsor for the 2006 season. 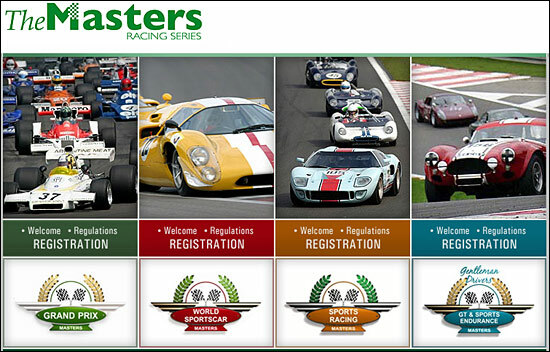 The four series are “Grand Prix Masters”, “World Sportscar Masters”, “Sports Racing Masters” and “GT & Sports Endurance Masters”. A glance at the series website will make it all clear. The test day for all four series takes place at Donington Park on April 25. Gregor Fisken will focus his/its sponsorship activity on the GT & Sports Endurance Masters races, in conjunction with long-term co-sponsors, JCB. 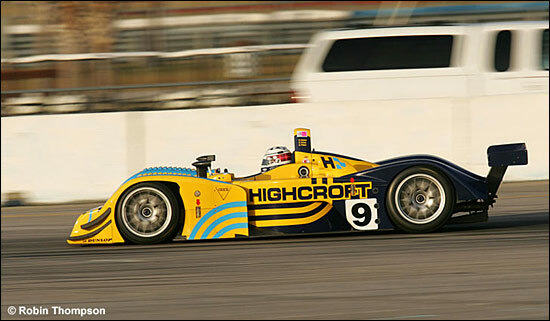 Gregor Fisken himself is looking ahead to his second appearance in the Sebring 12 Hours – in the Highcroft Racing Lola B01/60. Fisken ‘cut his teeth in historic racing, while team owner and driving partner this week Duncan Dayton manages to fit in both modern and historic racing, often on consecutive weekends. 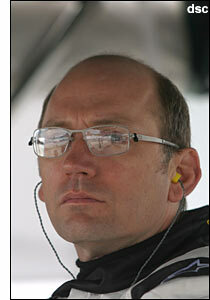 Rick Knoop joins them at Sebring. Here he is in action at Sebring in January.